Bia, what is wrong with this dude. Faryal just bought a bad market sha, lol. No only you be boxer? Hian! It was recently claimed he cheated on wife Faryal Makhdoom just days after the arrival of their second child. 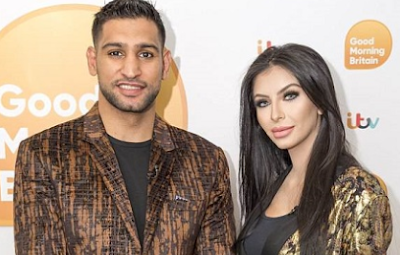 And things appear to have become even more complicated for Amir Khan as the 31-year-old boxer has been caught on private dating app Raya. On the software, the former world champion's profile has advertised his availability, where he joins an exclusive host of celebrities and high-profile singletons. 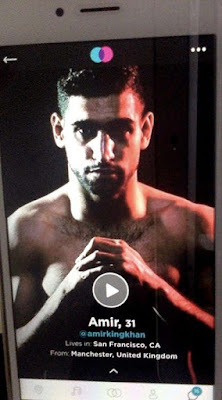 The father-of-two's profile image shows the Bolton native gazing fiercely at the camera, while showcasing his toned upper body as he goes shirtless. The page also displays Amir's age, Twitter handle, and place of birth, as well as where he currently resides. The sportsman - who welcomed his second daughter Alayna in April - has been met with a number of cheating allegations since he tied the knot to Faryal in 2013.